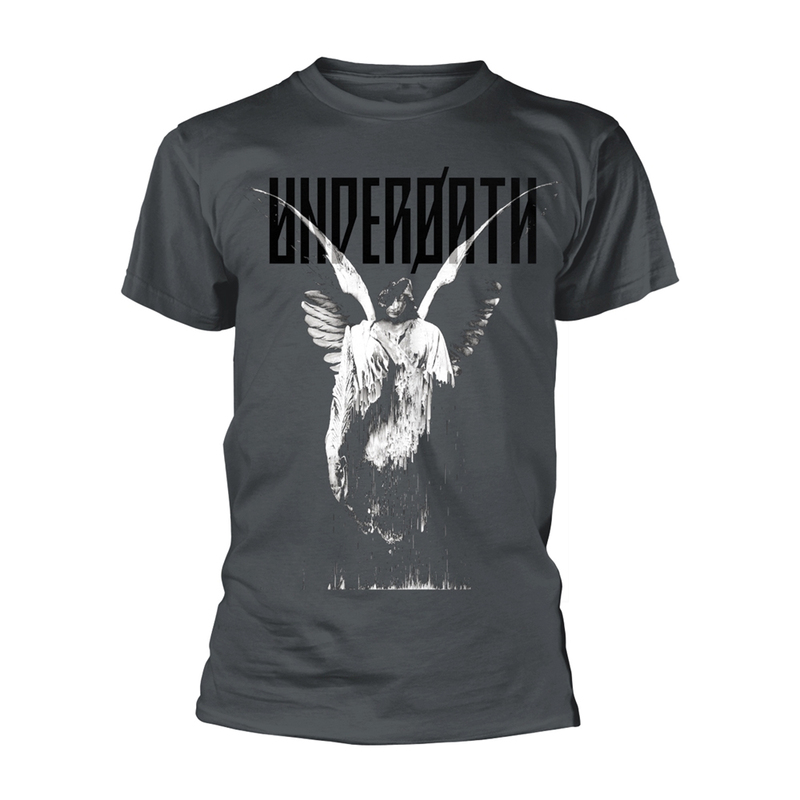 Underoath (sometimes stylized as underØATH, Underøath or UnderOATH) is a Christian metalcore band from Tampa, Florida formed in 1998. They are currently signed to Solid State Records and are the label's best selling band. Though the band has been noted for "setting precedent in both Christian rock and beyond", only a portion of their albums are sold in the Christian marketplace. After several line-up changes, Underoath's only original member is drummer Aaron Gillespie. During the band's early years, when they were fronted by former vocalist Dallas Taylor, Underoath displayed a more deathcore and melodic death metal sound, with double-bass drums and breakdowns. With Taylor, they released Act of Depression (1999), Cries of the Past (2000), and The Changing of Times (2002). Following his leave, Spencer Chamberlain became lead vocalist. The band then released They're Only Chasing Safety (2004) and Define the Great Line (2006), gaining a certified gold rating and the highest-charting Christian album on The Billboard 200 since 1997, respectively. The two albums gave them more mainstream and commercial success. Underoath has plans to release another album in 2008.